The ninth installment in the Switchfoot story 'Fading West' has arrived. Not many bands can keep producing high quality albums, but Switchfoot seem to. It feels like they have been around for years and yet still they keep sounding new and fresh with every release. This album is no different. Read More The ninth installment in the Switchfoot story 'Fading West' has arrived. Not many bands can keep producing high quality albums, but Switchfoot seem to. It feels like they have been around for years and yet still they keep sounding new and fresh with every release. This album is no different. The band's previous album Vice Verses had a massive anthemic rock feel to it, which I loved. One of the strong points of the last album was it's honesty, and Jon and the band have taken that honesty and put that into this album. From the moment you put this album on, you know Switchfoot are back with a bang. First track 'Love Alone Is Worth The Fight' is a brilliant opener. One of the strong points of this song, and the album as a whole, is how loud the bass and drums are in the mix. This song is a brilliant anthem that you will just want to join in with. One of the standout tracks of the album is Who We Are. Again the bass lines are funky and powerful and the song has a really catchy chorus. The whole ambiance of the song has a young fresh feel that is nice to hear from the band. When We Come Alive takes the album from its cleaner sounding openers to a darker rockier side. This songs is a sort of classic sounding Switchfoot song with an extra added modern punch. I can imagine this one going down great live. An epic sounding bass blasts out of the track Say It Like You Mean It. This track feels like it would have fitted perfectly on the last album Vice Verses with a lot of swagger to it. "Is this the world you want, is this the world you want, you're making it" is the hard hitting line in the brilliant track The World You Want". Jon and the band look at the harsh reality of the world we are creating. Not many songwriters would be so ready and willing to write on such a topic. When you think the song is all about the doom and gloom, Switchfoot then turn the song on its head, saying "everyday you're alive, you change the world, you change the world". We all have a part to play, and we can change it, a great message. I was caught a bit off guard by the track Let It Out. My first thought was that it was a bit too pop focused for me. It has an Owl City feel to it, which I wasn't expecting. Maybe a few of the older Switchfoot fans might take a good few listens to really appreciate this song. I'll be honest, it grew on me. It does have a catchy chorus, but I'll let you make your own mind up about it. I love the songs Saltwater Heart and All Or Nothing At All which has an early Killers feel to it. Both theses songs are strong candidates to be on the standout tracks list and in some way it's a shame they are towards the latter part of the album. The album seems to finish on a massive high for me. The song 'Back The Beginning Again' has a real urgency to it. Sometimes you can't really put into words why you like some songs, but this is just a massive thumbs up kind of song for me, a great uplifting song to end a very solid album. I have to admit it took me a while to get this album, there are a few different styles and sounds happening on the album, some you might not be expecting, and some that you would declare as 'classic' Switchfoot. For me I'm glad to see Switchfoot keeping with the modern music times whilst still writing out and out rock anthems. 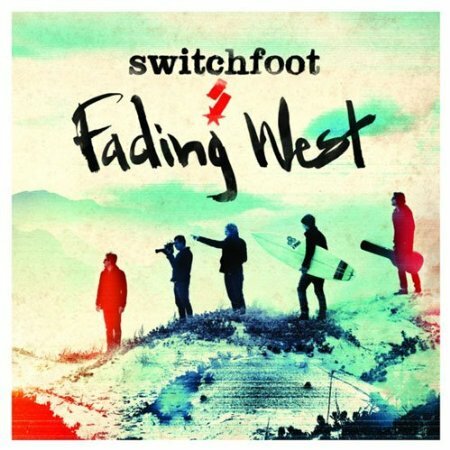 Fading West isn't what you might expect necessarily from Switchfoot, but it is an album full of sturdy lyrics and forceful melodies that get caught in your memory after only a few listens. This is a well-built and thought out album which is at times frank and open with its opinions. The music is true, memorable and appealing. There are some great foot-tapping moments, there are some great lighters-in-the-air moments, and there are more than a few blunt and direct moments too. Welcome back Switchfoot, now let's hear these songs live where they will take on another lease of life. Ahead of the release of Switchfoot's new album 'Fading West', check out the beautiful scenery in the video for first single, 'Love Alone Is Worth The Fight'.